The MSM is a series of RF modules with embedded application for reading and reporting sensors over a Wireless M-Bus network. There is no need to add an external microcontroller to read the sensors. As an option, custom sensor interfaces and drivers can be integrated in the module based on customer specification. Radiocrafts can customize the firmware on request to virtually any sensor. Just contact Radiocrafts using our contact form for more details on customization. To have long range, several kilomteres for the 169MHz MSM modules. RC1701HP-MSM, an ISM band 169 MHz module that meets the EN13757-4:2013 Mode N and provides very long range. RC1880-MSM, an ISM band 868 MHz module that meets the Wireless M-Bus specifications S, T, and C modes and provides very low power. The Radiocrafts sensor board, that includes a number of supported sensors and is a great tool for prototyping a wireless Sensor network. The primary application for the MSM modules is sub-metering solution providers. The MSM is a very simple way to expand the sub-metering gateway capabilities, by offering a simple solution that allows the system provider to add various sensors that can easily connect to the Wireless M-BUS gateway. Easily connects to any sensor, additionally, I2C / SPI interfaces are provided by Radiocrafts. The 169 MHz option is ideal for hard to reach sensors in challenging environments, for example, sensors in concrete, snow, ice, and underground. Other applications include Wireless Sensor Networks, Industrial remote sensing, Smart sensors for buildings and smart cities, telemetry stations, and more. Radiocrafts wants to provide our customers with an easy and simple to use RF network for sensors with high performance, but also, we want to provide you with a complete solution rather than just a part of a solution. Therefore, Radiocrafts has partnered with many different well established companies with gateway expertise where you can find a Wireless M-Bus gateway that is suitable to work with our MSM products. 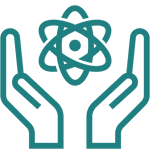 You can find the Wireless M-Bus gateway partners here. The MSM modules are based on Wireless MBUS and can connect to any Wireless MBUS gateway that supports either 169MHz or 868MHZ. 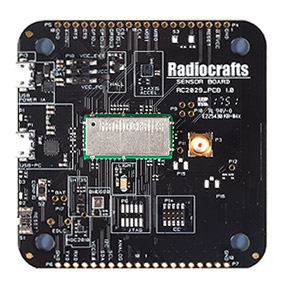 Radiocrafts also offers IoT expansion boards that can interface to the MSM modules and can be easily integrated into a FX-30 Gateway from Sierra Wireless or a MangOH Red board. Radiocrafts provides the source code to the demo software used to connect the sensors to the cloud. Additionally, setting up a Wireless M-Bus network is a simple and easy task to accomplish. We have a detailed guide to help you set up your own Wireless M-Bus network which is in our application note, AN024: Wireless M-Bus in Industrial Sensor Networks. 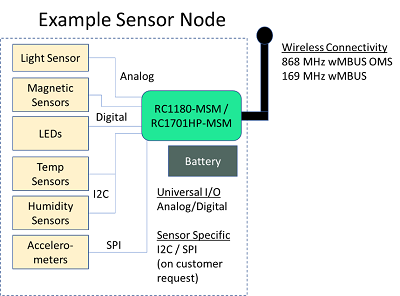 This application note gives you an understanding of how to use a Wireless M-Bus module in an industrial sensor network. Configurable signal processing features are also available. 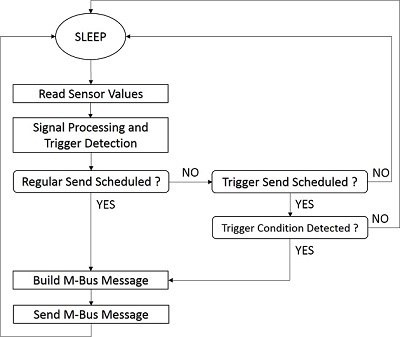 Messages can be sent regularly and/or when some condition is triggered, such as a sensor value going above a defined threshold. This enables a very compact, integrated and efficient solution for wireless sensor measurements that offers minimal time to market and a minimum amount of coding. Radiocrafts also provide sensor boards for testing and prototyping. Custom variants can be offered with custom functionalities. Details of interfaces and sensory setup is described in the RCxxxxx-MSM User Manual.